Shasta Region has been devastated by the wildfires hitting so close to home this July. Many of us were just in the area for the Shasta Region Zone 7 Tour in June. The region had already decided if the tour had any surplus, it would go to local charities in the region. With additional sponsors and donations the region has donated $9000 towards “Care for Carr Fire Relief Efforts”. Way to go Shasta! 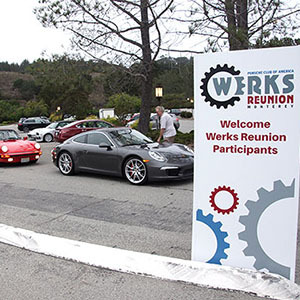 Werks Reunion and the PCA Corral at the Monterey Motorsports Reunion will be history at this posting. Zone 7 needs a lot of volunteers to help put on these events. Thanks to all our volunteers who gave a few hours to days of planning and staffing these events. We are so lucky to have WeatherTech Laguna Seca in our back yard. Did you know there is an IMSA race happening with a Porscheplatz at Laguna September 8th and 9th? 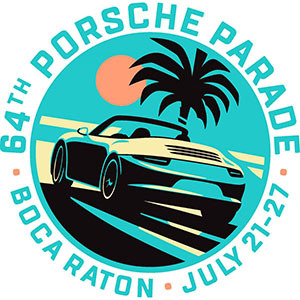 Porsche Cars North American, PCNA, puts on the Porscheplatz tent. PCA helps with volunteers for the tent. If you are going to the IMSA races, and have your race tickets, please volunteer. PCNA will have drawings throughout the day for tours of the Hot Pits, Rig Tours and more! They will have a Porsche Parade lap for 100 cars on Sunday morning. You must sign up from 8am-8: 55am for the Parade lap. Send an email to sandyprovasi@gmail.com to volunteer between 8am-5pm both Saturday, September 8th and Sunday, September 9th.